He's the God of Mischief and adopted brother to Thor (Chris Hemsworth), who met a sudden and unfortunate end at the hands of Thanos in Avengers: Infinity War. 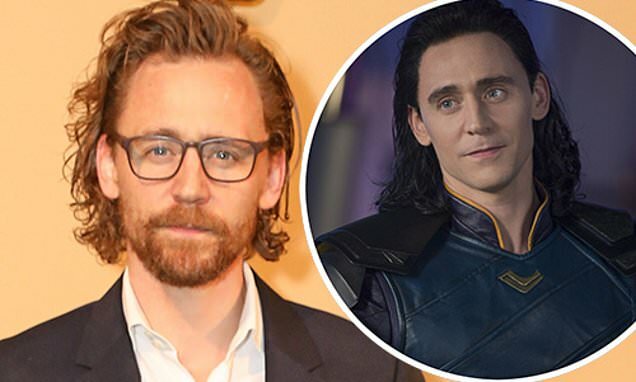 And Disney revealed on Friday that Tom Hiddleston, 37, will reprise his role as Loki, in a TV series made by Marvel Studios which will air on their new streaming service Disney+. According to the company's chairman and CEO Bob Iger, the series will centre around the fan-favourite character, though no other details were confirmed. The actor last played the role in Avengers: Infinity War, which was released in April and saw his character appear in only one scene, albeit an intense one. Confronting Thanos (Josh Brolin) and his henchmen in the Black Order alongside Thor and the Hulk, Loki attempted to trick the Mad Titan and kill him, rather than hand over the Tesseract. However Thanos was not one to be overpowered, and he easily stopped Loki's dagger before the trickster could stab him, and then grabbed him by the throat. Having pretended to pledge his 'undying' loyalty to the villain earlier in the scene, Thanos mocked his wording and then crushed his neck.